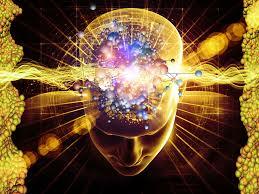 In recent decades there have been major advances in scientific understanding of the human brain. To a large extent these advances have been driven by new neuroimaging technologies that have provided neuroscientists with increasingly refined images or maps of the brain. One specific arm of neuroscientific research has made use of these neuroimaging techniques in order to try to identify the neurological seat of the self or consciousness. Today’s post briefly highlights some of the key findings of this research and discusses them in relation to core Buddhist principles concerning the manner in which the self is believed to exist.